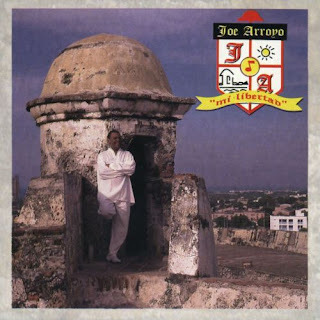 His full name was Alvaro Jose Arroyo Gonzalez but he was known in the music world as Joe Arroyo - and in his native Colombia as just Joe. There may be some people in Latin America who haven't heard of him. But even so, they've probably heard his biggest hit, Rebellion. "It's the most important salsa tune the country has. In fact, it may well be Colombia's most important song," Mauricio Silva, who wrote a biography of Arroyo, told BBC Mundo. "The music is fantastic and the whole country dances it and sings it." But for Mr Silva, Rebellion has a deeper meaning. "It's how Joe condenses the history of the black population of Latin America." Joe Arroyo and his band brought together the African rhythms of Colombia's Caribbean coast. He composed 107 songs, 40 of them top hits, but his work went beyond salsa. Arroyo was born 1 November 1955 in the port of Cartagena. He grew up speaking Creole that stemmed from the Bantu language spoken by African slaves in the 16th Century and who are the protagonists of Rebellion. As a child, Arroyo was influenced by the rhythms of Cartagena - such as soca, calypso, salsa and merengue. But he also drew on other styles embedded in the culture of of black Colombians - including terapia, champeta, and porro. Later, Arroyo would seek to bring these rhythms together into his own unique sound: joseson or the sound of Joe. "Joe is the embodiment of Africa in America," says Mr Silva. 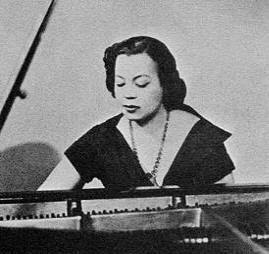 Arroyo began singing aged eight in Cartagena's brothels. "Then an archbishop heard about him, asked for Joe to come to him and put him in a choir," Mr Silva says. Arroyo ran away from home at 13 and joined a band in Barranquilla called "The Protest". 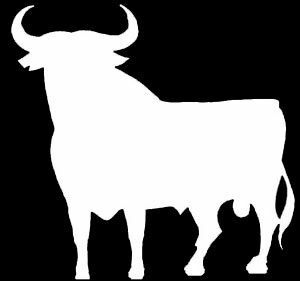 In 1973, he became the main vocalist in the popular salsa band, Fruko y sus Tesos. He formed his own band, La Verdad (The Truth), in 1981, developing his own sound and becoming one of the stars of salsa music, at home and abroad. Arroyo's intense lifestyle and various brushes with death added to his aura. Thyroid problems left him seriously ill in 1983 - the Colombian press pronounced his death "from a drug overdose". He was again given up for dead when he suffered pneumonia and was in a diabetic coma while on tour in Barcelona. Two years later, his daughter Tania died from heart problems. The following day he took to the stage for a planned concert, and was inspired to write the song that bears her name. "His songs were the map of his life, the women who betrayed him, the men whose women he slept with, his drug-taking," said Mr Silva. Actor Jair Romero played Arroyo in a soap opera about his life called "Joe, The Legend". "When you talk about Colombian music, your reference point is Joe Arroyo," says Romero. "But he was a very simple man, the voice of the people, someone who expressed what the poor wanted to say." For Romero, it is telling that despite his success, Arroyo stayed in Colombia and did not make his home in Miami, unlike other Latin American musicians. Despite his numerous health problems, Arroyo never stopped performing. "That's why there is and never will be anybody like Joe Arroyo," says Romero. "From the Middle Ages to Danzon"
Two instruments, two virtuosos come together to achieve a symbiotic relationship that provides excellent results: an album full of sounds, revelations of mutations. Yes, "From the Middle Ages to Danzon" (Quindecim Recordings, 2002) is a mosaic of different ways that people have expressed musically through the centuries and now are part of a universal heritage. In addition, this results from the overlap of two talented Mexican musicians: flutist Horacio Franco and bassist Victor Flores, who managed to mate with their instruments in an almost perfect (could easily omit the "almost") to sound majestic, masterful. 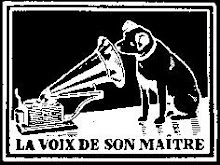 In fact, a factor to note is the selection of topics that make up this CD, it is very balanced, allowing the harmonious interaction of the two instruments, as well as the possibility that each one shine, stand out, look, giving occasion for the musicians demonstrate their mastery and virtuosity, passion and sensitivity, as each interpretation reveals the soul and feeling of the performer. 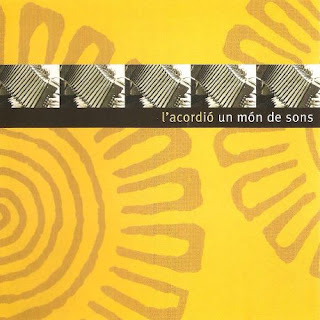 As indicated in the booklet accompanying the disc: "The program 'From medieval to danzón' is, firstly, to unite the expressive possibilities of both instruments and techniques whose development has nothing to do either historically or timbre, but work excellently for 'telling' a path that is common to each other: the universality of musical language and, secondly, to demonstrate the quality and effectiveness of this language not only corresponds to a type of music. " 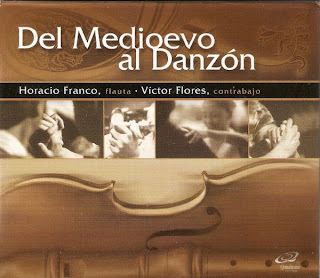 Indeed, the maestro Horacio Franco arrangements they make the contents of the disc is uniform and integrated, that is, naturally amalgamate the sounds of music 'educated' with 'popular' pieces from the classical repertoire with gems the danzón were selected. 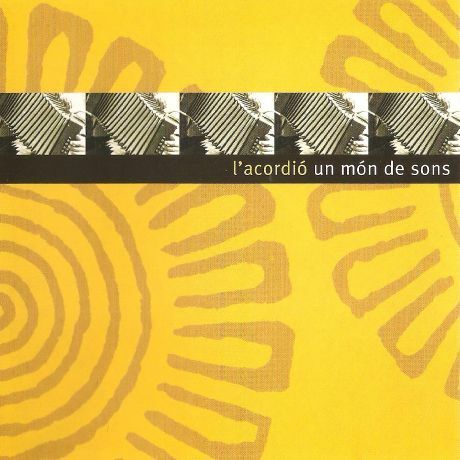 "From the Middle Ages to danzón" was recorded at Laboratorio Arte Alameda (formerly Colonial Art Gallery) in October 1999 in the Auditorium "Blas Galindo" the National Arts Centre in May 2001. It is on sale in record shops and bookstores prestige. 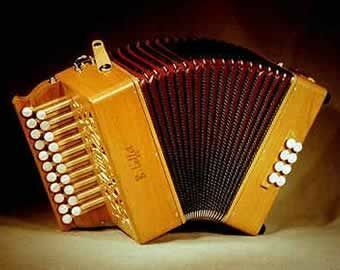 Welcome to the accordion capital! 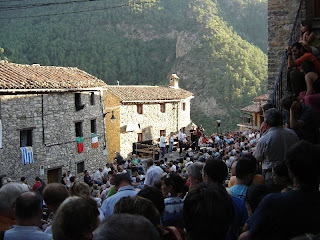 Arsèguel is considered Catalonia’s accordion capital. 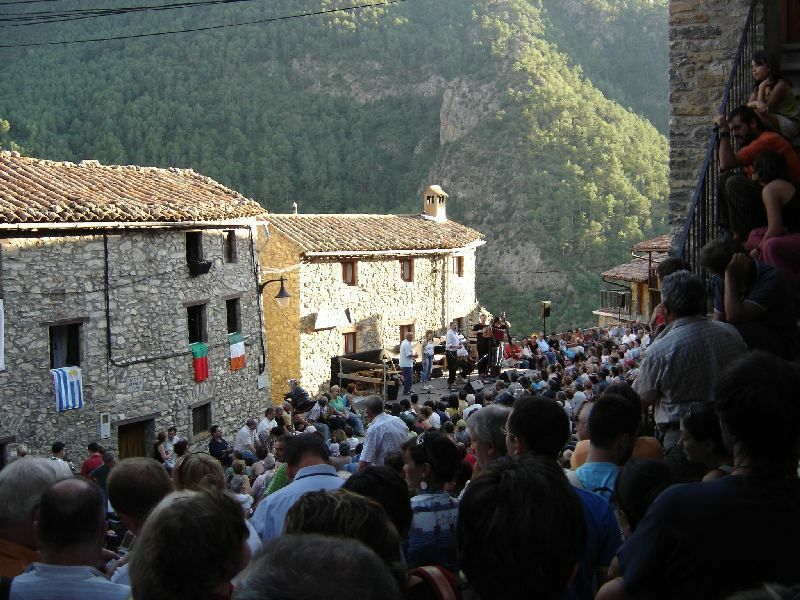 Every year, since 1976, it has hosted the Trobada amb els Acordionistes del Pirineu (Gathering of the Accordion Players of the Pyrenees), the oldest folk music festival celebrated in the Catalan-speaking world. 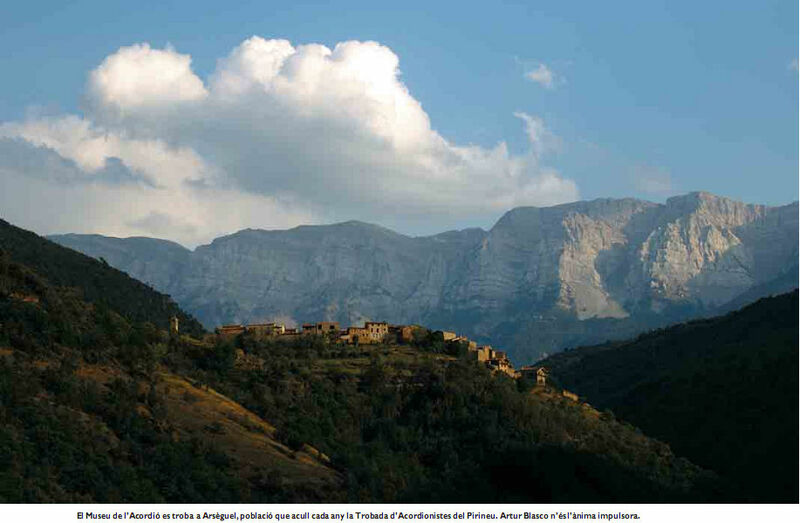 Arsèguel lies in the north-east of the comarca (local district) of L'Alt Urgell, in the very heart of the Pyrenees. It can be found on the lower spurs of the Serra del Cadí (Cadí Ridge), between the river Segre and the slopes of the Puig del Grau. Other points of interest to highlight are the Romanesque-style church of Santa Coloma and the Fàbrica de llanes (wool factory), and of course the marvellous views of the Pyrenees! 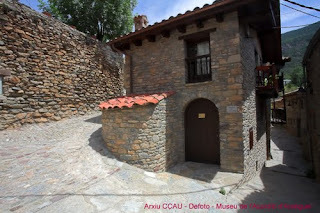 This museum explains the history of the accordion and its evolution around the world, but with particular reference to its links with the traditional folk culture of the Lleida Pyrenees. The instruments exhibited date from 1840 to the present day and include: melodeons, concertinas, bandoneons, and diatonic, semi-diatonic and chromatic accordions. Chi Bulico plays the Morin Khuur - a two string fiddle popular in Mongolia. Chi Bulico 齊寶力高, also spelled Chi Bulag, or Ci Bu-Lag, or Qi Baoligao. He has many other great recordings, featuring many of his compositions, especially for the Matouqin (Morin Khuur) orchestra that have become standard songs in Mongolia. The morin huur, or Ma Tou Qin in Chinese, is a traditional Mongolian stringed instrument. It is hugely popular among Mongolian people. 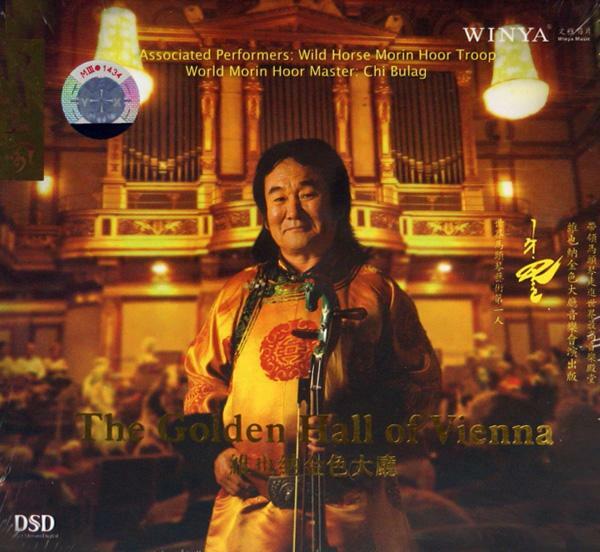 Almost every Mongolian knows about the living Buddha that plays it. His name is Chi Bulag. Yao Yongmei has the story. 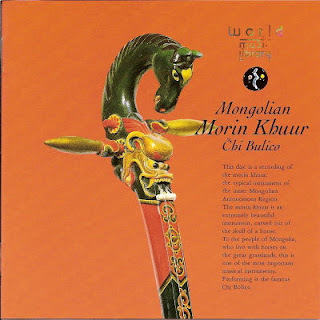 The morin huur is a Mongolian bowed stringed instrument. The name means fiddle with horse's head. It produces a sound which is poetically described as expansive and unrestrained, like a wild horse neighing, or like a breeze in the grasslands. It is the most important musical instrument of the Mongolian people. This melody is played by Chuur, the name given to an old morin huur, which has a history dating back some five hundred years. The performer Chi Bulag is one of the very few folk artists who can play the ancient music instrument. He also happens to be the most famous morin huur master in the world. "People call me the master of the morin huur. That's a great honour. But I'm still myself, an ordinary man who loves playing the instrument. I'm 65 years old now, and I have been playing the morin huur for 58 years." In 1944, Chi Bulag was born in a small village on Horchin grassland in North China's Inner Mongolia Autonomous Region. At the age of three, he moved into a lama temple in Horchin as the chosen living Buddha of the temple. Here he good training in many disciplines, but it was music in which he excelled. Without anyone teaching him, this little boy learned to play the morin huur all by himself. Many years later, deeply impressed by Chi Bulag's performance, he was enrolled by a local art troupe. Thus he began performing on stage. Besides, performing, Chi Bulag also composes music, claiming that inspiration comes out of his blood. This is "Wan Ma Ben Teng", or "Ten Thousand Horses Galloping ahead," one of the most famous artworks of Chi Bulag. He created the piece after watching a fierce horse race, in which one horse blundered over the finishing line and then collapsed and died because of overstraining itself. Listening to the music, you can feel the force of the battle as the tone rises and falls. To introduce more passion into the sound produced by the morin huur, Chi Bulag modified the fiddle's design. Thanks to his efforts, the morin huur now has a wider range and a louder volume. Chi Bulag proudly says the morin huur he made can play almost every kind of music. Performing in many countries, Chi Bulag says he's received a warm welcome from every city he's visited and now has over 20 thousand students worldwide. He says nothing will stop him playing the morin huur, and spreading the sound of peace to all four corners of the world. Chi Bulico 齊寶力高, also spelled Ci Bulag, or Ci Bu-Lag, or Qi Baoligao. In 1907, a Japanese scholar mentioned an instrument in his journal describing it as a chordophone with a horse head carved on the top. He called it a Matouqin, literally translated as horse-head fiddle in English. A symbol of Mongolian ethnicity, the horse-head fiddle has been played by Mongols for centuries. Chi Bulico, an artist who has been playing the horse-head fiddle for more than 50 years, has brought about significant changes in the development of the ancient instrument. The horse-head fiddle was called Morin Khuur in Mongolian, and gained popularity among Mongols in the 13th century. The resonant and far-reaching sound made by the fiddle is described as "a wild horse neighing" or "a breeze in the grasslands". Some even say the notes produced by the instrument paint a better picture of the grasslands than any painter or poet. The horse-head fiddle is indeed considered the most important musical instrument of the Mongolian people. The descendant of Jochi, the eldest son of Genghis Khan, Chi Bulico was born in 1944, and was made a living Buddha when he was 3 years old. 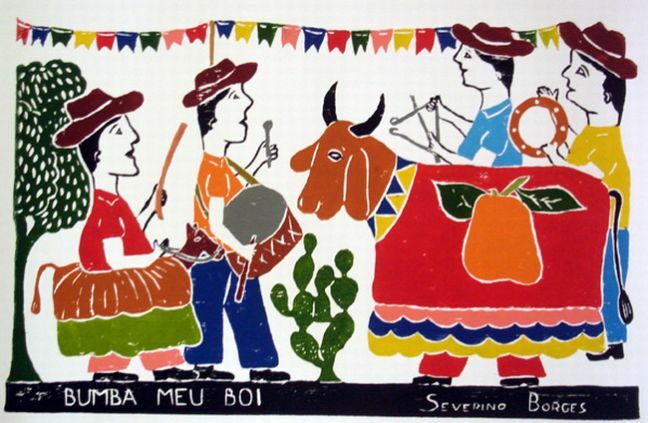 At an early age, Chi Bulico showed his talent in music through his exquisite sense of sound. "In the summer, the telephone lines set up on the grassland buzzed while they swayed in the endless winds. During the winter, the frozen lines made strident sounds. I was enchanted by all the different sounds in the grasslands, and could spend days listening to them. The first time I heard the music of a horse-head fiddle on the radio, I was deeply touched. My heart began to beat faster when I heard the instrument. It will always do, until the day I die." At the age of seven, Chi Bulico got his first two instruments called "Chao Er" and "Si Hu" from his father. And he was able to play several dozens pieces of music with other folk artists the next year even without knowing the scores. After learning from a horse-head fiddle master San Duren, Chi Bulico got a much better understanding of music and the instrument. 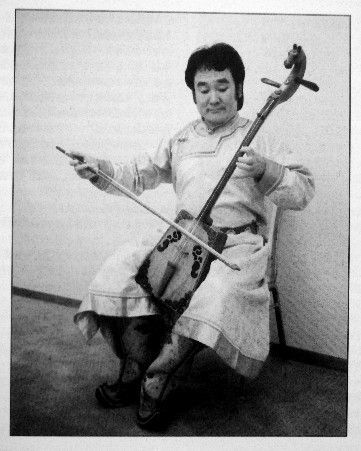 In 1970s, Chi Bulico made several improvements to the ancient horse-head fiddle, and modernized it so that it could be used in the symphony orchestra. According to Chi Bulico, his ideas were inspired by the legendary Italian violin master Niccolò Paganini. "I admire Paganini the most. He took violin playing to the next level using his knowledge of the guitar. And I improved the horse-head fiddle using the violin. The improved bow can now play many different tunes. If I had not learned the violin, there would not have been these new techniques of playing the horse-head fiddle now." With only two strings, the current horse-head fiddle can make quite a number of fascinating sounds. Although he has never entered middle school or learned composing, Chi Bulico is considered the master of the horse-head fiddle. His playing skills are the standards of teaching materials today and over 80 percent of fiddle music has been written by him. Using just three notes - Do, Re and Mi - he has managed to compose a song that is 15 minutes long. "I don't compose music according to the music theory. I compose because I am moved by the melody. I use different tunes to express my feelings and emotions." In the eyes of others, Chi Bulico's performances are replete with expressions and emotion. Miyazaki Emi from Japan is one of them and is learning horse-head fiddle from Chi Bulico. "My master is true to his feelings. Happiness, anger, loneliness... Whatever he feels, he expresses through his performance, holding nothing back." In 2001, Chi Bulico created a Guinness World Record by performing a piece called Galloping Horses together with 1,000 horse-head fiddle players. And the once solo instrument became suitable for tutti. Today, Chi Bulico has a collection of over 100 horse-head fiddles, among which the oldest one is an ancient fiddle he spent 28 years to get. It is considered the oldest fiddle existing in the world. Many people ask to leave their horse-head fiddles with Chi Bulico for a while, because it is said that will improve the timbre of the instrument. Once a living Buddha in Inner Mongolia, Chi Bulico is still esteemed by many Mongols. However, he holds a different view of the Buddha. "In my opinion, the real Buddha is the one who serves and helps the people. I play the horse-head fiddle with all my energy for the people, and they like it. I think that's what a living Buddha should do." One legend about the origin of the morin khuur is that a shepherd named Namjil the Cuckoo received the gift of a flying horse; he would mount it at night and fly to meet his beloved. A jealous woman had the horse’s wings cut off, so that the horse fell from the air and died. The grieving shepherd made a horsehead fiddle from the now-wingless horse's skin and tail hair, and used it to play poignant songs about his horse. Another legend credits the invention of the morin khuur to a boy named Sükhe (or Suho). After a wicked lord slew the boy's prized white horse, the horse's spirit came to Sükhe in a dream and instructed him to make an instrument from the horse's body, so the two could still be together and neither would be lonely. So the first morin khuur was assembled, with horse bones as its neck, horsehair strings, horse skin covering its wooden soundbox, and its scroll carved into the shape of a horse head. Chinese history credits the evolution of the matouqin from the xiqin (奚琴), a family of instruments found around the Shar Mören River valley (not to be confused with the Yellow River) in what is now Inner Mongolia. It was originally associated with the Xi people. In 1105 (during the Northern Song Dynasty), it was described as a foreign, two-stringed lute in an encyclopedic work on music called Yue Shu by Chen Yang. 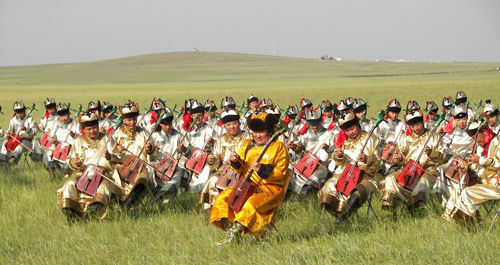 In Inner Mongolia, the matouqin is classified in the huqin family, which also includes the erhu. The fact that most of the eastern Turkic neighbors of the Mongols possess similar horse hair instruments (such as the Tuvan igil, the Kazakh kobyz, or the Kyrgyz Kyl kyyak), though not western Turkic, may point to a possible origin amongst peoples that once inhabited the Mongolian Steppe, and migrated to what is now Tuva, Kazakhstan and Kyrgyzstan. Piano Music by Composers of African Descent is extremely varied. 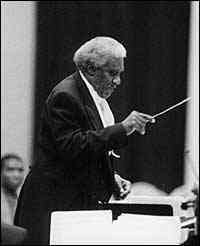 The composers show an influence of both African and Western cultures. The African elements may manifest themselves on a melodic, harmonic and rhythmic level, whereas the structure of the work may be more easily identified as Western. On the other hand, composers may use 20th century Western compositional techniques with the general musical aesthetic being African. The melodic, harmonic and percussive qualities of the piano make it the perfect vehicle for the expression of this inter-cultural music. Carolina Visiting Artist, Chapman Nyaho taught at the University of Louisiana at Lafayette. He was the recipient of the 1998 University of Southwestern Louisiana Distinguished Professor Award and the 1998 Acadiana Arts Council Distinguished Artist Award, and held the Heymann Endowed Professorship. Nyaho/Garcia Duo which has released a compact disc titled "Aaron Copland: Music For Two Pianos". Chapman Nyaho has been featured on radio and television broadcasts in Ghana, Switzerland, and US National Public Radio. He developed and hosted The Bach Show for KRVS radio in Louisiana. 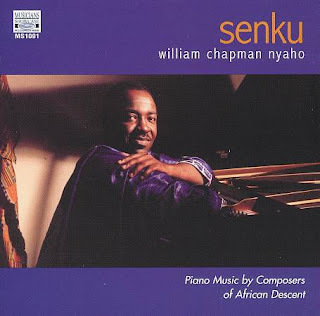 Chapman Nyaho is presently an independent scholar, teacher and concert pianist residing in the Pacific Northwest of the USA. 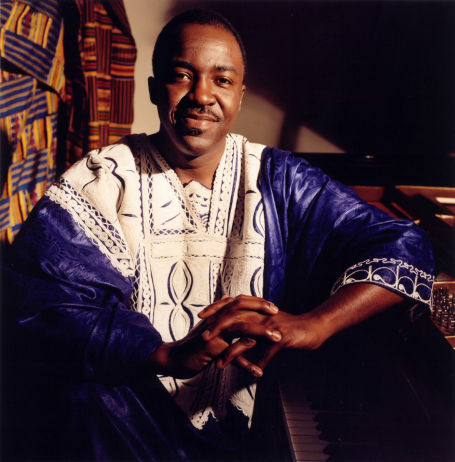 He is a regular guest clinician at colleges and universities giving lecture-recitals and holding workshops advocating music by composers of the African Diaspora. He also serves as adjudicator for national and international piano competitions. Every now and then a recording comes along that is as important as it is unique. This is such a recording. I approached this CD with a desire to explore a back road of art music, in the hopes that I might find a hidden gem of inspiration, or even a piece to perform myself (I am also a pianist). What I found instead was a superhighway of talent and creativity that has somehow remained overlooked by the "mainstream" art music world. Pianist Nyaho Chapman presents us with an astonishing variety of compositions, ranging from the more conservative "In The Bottoms Suite" of Robert Nathaniel Dett or Margaret Bond's Troubled Water, to the more abstract "Talking Drums" of Joshua Uzoigwe or Earthbeats of Gyimah Labi. Mr. Chapman's performance of Coleridge-Taylor Perkinson's Scherzo surely proves him as one of the more brilliant pianists on the circuit. The piece is as relentless as it is physically demanding. And, like the other works on this disk, it is recorded with clarity and precision. I highly recommend this CD to anyone wishing to enrich their musical life. 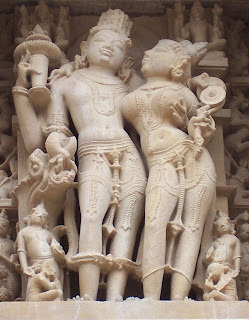 Ragas: Malayamarutham, Piloo, Hansadhwani, Vachaspati. 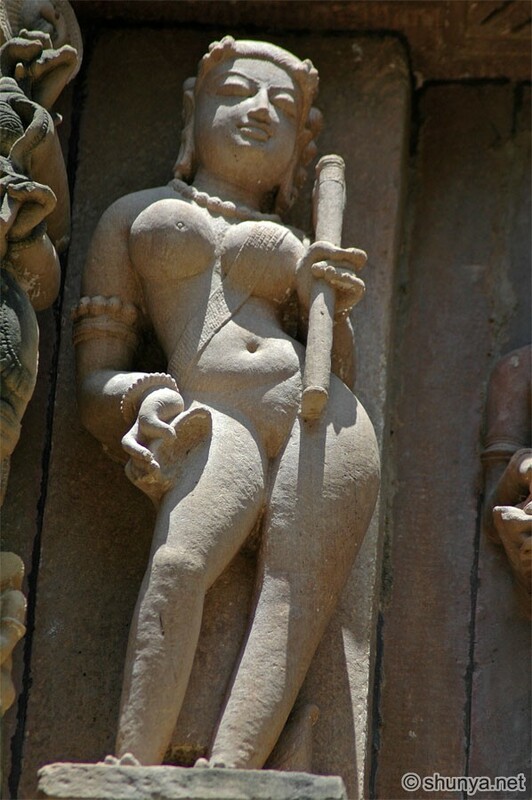 The Flute is the symbol of the Spiritual Call - A call of the Divine Love. 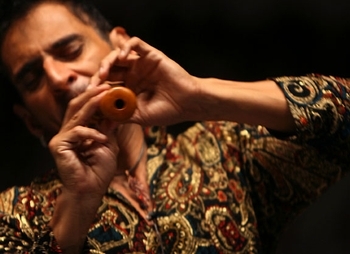 the internationally renowned exponent of the bansuri or bamboo flute, surprisingly does not come from a long lineage of flautists. His father was a famous wrestler who had aspirations of his son following in his footsteps. The younger Chaurasia had an early love of music, however, and by the age of 15 was taking his first steps toward a lifetime as a performer by studying classical vocal with Pandit Raja Ram of Benares. Soon after, he heard a flute recital by Pandit Bholanath and was so impressed he changed his focus to studying the flute. When he was just 19, he got a job playing for All India Radio, Cuttack, Orissa, and within five years he was transferred to their headquarters in Bombay. There he got the additional exposure of performing in one of India's cultural centers and also studied with Shrimati Annapurna Devi, daughter of Ustaad Allauddin Khan of the Maihar School of Music. There he established the creative peak of his career, developing a style that was respectful of tradition, yet full of innovation. 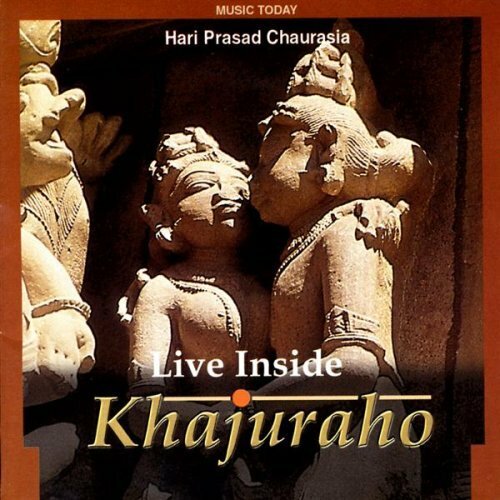 Over a lifetime of performances, Pandit Hariprasad Chaurasia has become one of India's most-respected classical musicians, earning several awards, including the National Award of the Sangeet Natak Academy, which he won in 1984. In 1992, he was awarded the Padma Bhushan and the Konarak Samman. In 1994, he was bestowed the Yash Bharati Sanman and in 2000, he was awarded the Padma Vibhushan. In the year 2000, he also received the Hafiz Ali Khan Award and the Dinanath Mangeshkar Award. He has collaborated with several western musicians, including John McLaughlin and Jan Gabarek, and has also composed music for a number of Indian films. He has performed throughout the world winning acclaim from varied audiences and fellow musicians including Yehudi Menuhin and Jean Pierre Rampal.